So you really messed something up and need to delete a Blogger blog permanently, but don't know how? You might have encountered an error message you can't get rid of, or it might be something wrong with the appearance. Blogger lets us to create up to 100 blogs without worrying about bandwidth, but sometimes we just want to reduce the number of junk blogs from list to keep it short and simple. In this case, we may have decided that it is time to delete it. So how do you delete a blog on Blogger permanently? Log in to your Blogger.com dashboard. Choose blog which you want to Delete. Navigate to the Settings tab and just below it the Other option. Click on it. On the right side is the Delete Blog section. To proceed with the deletion then click on the Delete blog link. Confirm that you want to delete it and you're done. 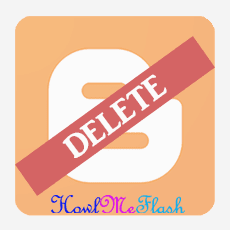 If you want to delete your blog Permanently click on Permanently Delete. Deleting Blog is permanent and you won't be able to undo it. Again Click on Permanently Delete. So this was our guide on How to Delete a Blogger Blog Permanently, I hope the methods given above helped you.